Last month we talked about your child pursuing music education in college and/or pursuing a career in music. I mentioned that there are basically three types of formal music education programs: the traditional university, the avocational school, and the modernized university. I also promised to discuss which style of advanced music program, if any, is right for your child? Traditional university music programs are considered, by some, to be a bit antiquated. Most to focus on Classical music while some will also have Jazz programs. At Austin Peay State University (APSU), where I graduated, Classical was king, Jazz was tolerated, Rock & Pop music was frowned upon. These types of programs typically provide expansive musical training, but little, if any, practical guidance in career management (like how to get work & make money) for music majors. If your son or daughter wants to play in an orchestra, sing in the opera, be a concert instrumentalist, or work as a music educator in the public schools, then the traditional route may be the best choice. However, be aware that that there is a lot of competition for these positions. Interestingly, music majors have a high rate of acceptance in advance degree programs in other fields such as science and medicine (I promise it’s true). Something else to consider- many universities are willing to offer partial or full scholarships to music majors who will play in the marching band. And, by the way, marching band gets you a physical education credit too (at least it did APSU). …many of the world’s most successful musicians got where they are through self-education, experience, and determination. Avocational music schools typically offer one- or two-year programs with concentrated studies in music. These are more-or-less university level studies, but without the core curriculum (language, math, etc.). While there is an absence of core studies in this type of program, they do tend to be geared towards producing “working” musicians; offering music business guidance and education, and embracing pop & rock along with traditional musical styles. If your child does not care about the core education and wants an immersive experience, learning music at an accelerated pace, and he or she wants to become a working musician ASAP, playing in bands, performing in shows, or getting recording sessions, then this is a good place to start. I went to one of these schools myself. It was then known as Music Tech, but is now known as the McNally-Smith College of Music. They now offer a four-year degree program but also have one- and two-year certificate programs. Modernized university music programs tend to exist where music departments at traditional universities team up with another department, like business or communications, to offer majors like “Music Business,” “Recording Industry Management,” or “Commercial Music.” These programs offer a more well rounded educational experience than does a strictly avocational institution. They tend to do more to guide students towards towards career paths than do traditional university music departments. If your child wants a solid core education and a sophisticated music education, then the modernized university program is a good choice. These programs are good for those who want to work in the commercial music industry as musicians or in some other capacity. Two famous pioneers of modern music & recording programs are Middle Tennessee State University and Belmont University, in Nashville (I left APSU to attended Belmont for one year, it was a good experience, but I ultimately went back to APSU, for a variety of reasons). I am a fan of education, but it is most certainly no guaranty of a successful music career. Being a successful musician requires good, but not necessarily great, musical skills. What it really requires is- one must do, and keep doing, what it takes to get work and make sure you get paid (remember there are few “steady” jobs in music). 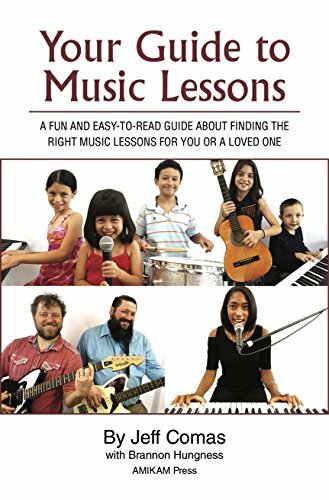 It’s worthy to note that it is very possible to have a successful career in music with little-to-no “formal” music education. In fact, many of the world’s most successful musicians got where they are through self-education, experience, and determination. All this being said, if your child plans to major in music, or otherwise participate in advanced musical education, then they will be required to pass an auditions, and music tests, to be admitted. Now is the best time to start preparing.